Update: March 1, 2017. Please note that this page will soon be rewritten. I now have two locally based partners to design mobile apps right here. Forward Multimedia now has both US and India based partnerships to bring custom mobile app development for popular smartphones, iPhone, Blackberry and Android. There are apps for almost anything you can think of. Similar to specialty websites, these are also ‘see an need, fill a need’. Sometimes they are just value added extensions of your website. Mobile application development also need to be cross-platform as you can’t just design an app for say, the iPhone. Of course you can, but it won’t make much sense as all the major platforms are just as popular in Trinidad & Tobago. Personally I use a Blackberry and have never owned any other brand, always upgrading to next generation. 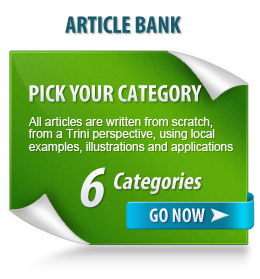 Every Trini is different and have their own tastes and preferences, some are Digicel, some are B Mobile (I’m Digicel). Whichever way you cut it, smartphones rule in T&T. The only app I can write is the word ‘app’, and there is no shame in that. For this reason I’ve partnered with expert mobile application developers in the US and India to bring you working apps. This means I manage the entire process on your behalf so you won’t have to look for a company who won’t take your money and run. My developers are trusted sources who I already have a relationship with and value the business I bring. The only app I can write is the word ‘app’, and there is no shame in that. For this reason I’ve partnered with expert mobile application developers in the US and India to bring you working apps. I already have a few apps for local companies in development, so I’m pleased to offer this new service in 2015 as part of my value added services. All apps are unique and asking how much an app costs is like asking how much to dig a hole— IT DEPENDS! How deep, how wide, who’s digging, what tools are being used and what are you going to put in it. But you still want a ballpark figure, and I understand that. Generally, a simple mobile app starts around $3,000 USD to $6,000 USD, and those are very conservative figures. Technically it’s not the nature of the app or how ‘simple’ it is that determines the cost, but the amount of time it will take to develop it. US based developers may cost at least $100 USD per hour and more. So it may be more cost effective to go to India. 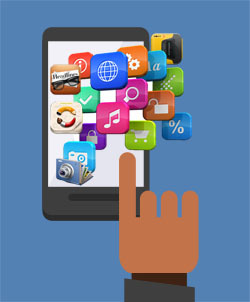 Can an App make a difference in your business? Are you ready to App? If you’re ready and think the time is right then I’ll be happy to start the process. We’ll first need to discuss your idea, the apps functionality and design, so I can frame your requirements to obtain a quote. I’ve already given you some factors to consider which will determine the simplicity or complexity of your final app.